Mesh banners are vinyl banners with fibers that are interwoven in a mesh pattern. This design is effective for reducing wind load on banners that are displayed outdoors. 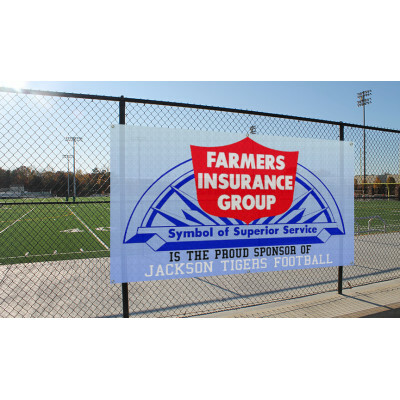 Mesh banners are commonly used as fence wraps at sports fields, to display messages on fencing at construction sites, and for a wide variety of other outdoor applications. We offer mesh banners printing services that are customized to your specific requirements. An outdoor large mesh banner may cost a bit more, but offers advantages compared with vinyl banners, especially if you are using the banner outdoors. The mesh material is stronger and won’t tear, so it is suitable for outdoor use, even in windy conditions and severe weather. Our mesh banners are printed on 10 oz. heavy duty material for better durability and a longer useful life. We are equipped to print banners in a single piece up to a maximum size of 10’ x 145’ and your banner can be finished with hemming, pockets, and grommets, as used with vinyl banners. It is important to use all grommets during the installation to prevent damage to the banner. Although the weave in the mesh pattern is somewhat transparent, it is still possible to print mesh banners with full color graphics and images. Our mesh banners are high resolution digitally printed at 720 x 720 and optimal finishing is available. In addition, we offer the option of double sided banners. These are single sided banners that are placed back to back and sewn together. Mesh vinyl banners with same day delivery are available for all orders placed before 12 pm EST. You can order your banner and upload your logo or image directly through our website for fast and convenient order processing. 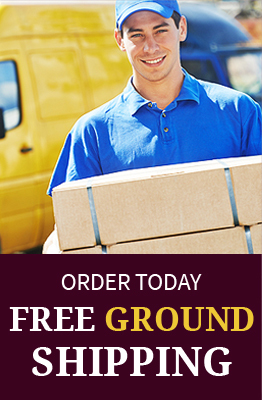 If you have any questions or need assistance with your order, please contact us and a friendly and knowledgeable member of our staff will be happy to help. Mesh Banners$0.99 per ft2Mesh banners are printed on 10 oz. heavy-duty banner material. They ar..